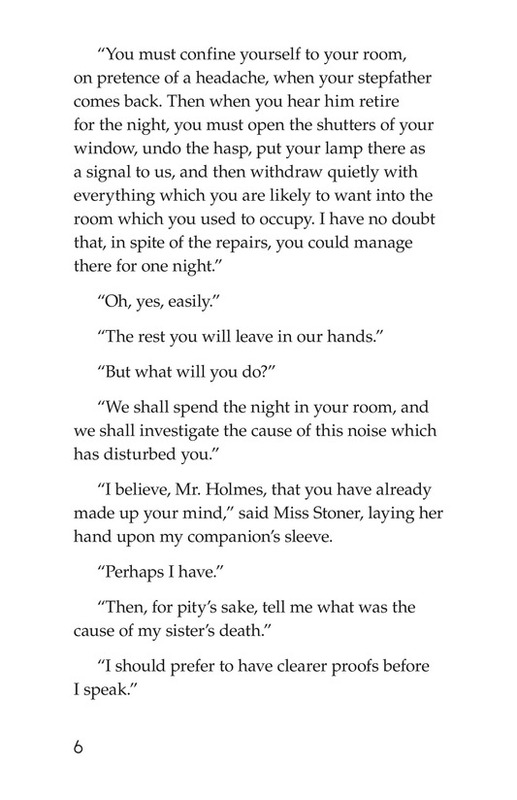 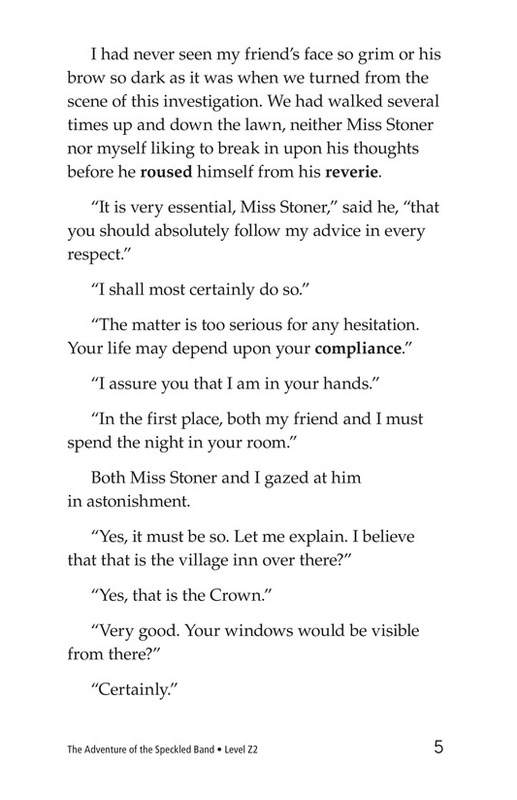 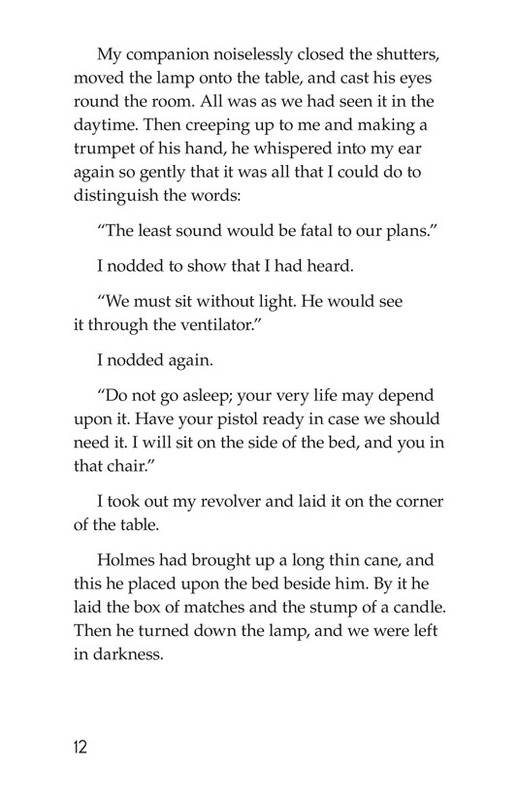 After investigating further, Holmes plans to conduct a secret stakeout in Julia's old room. 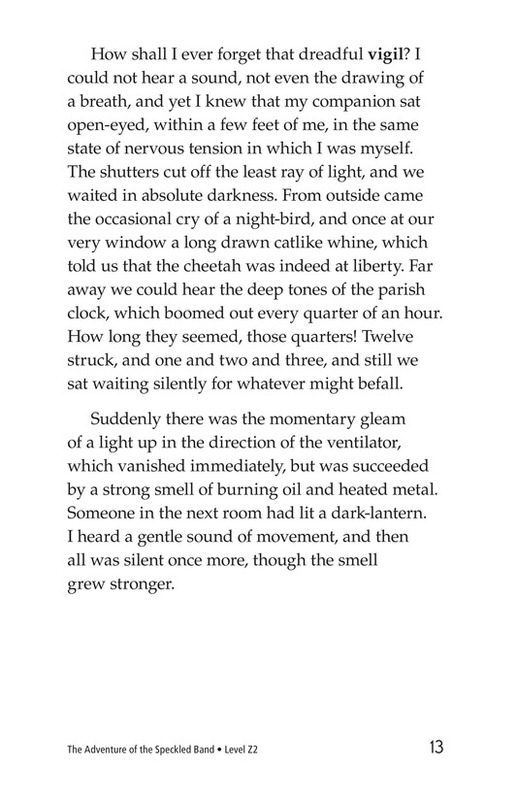 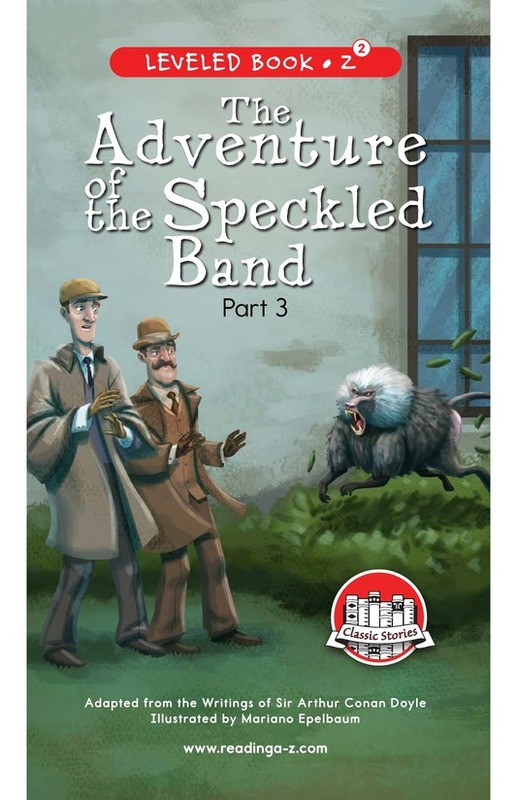 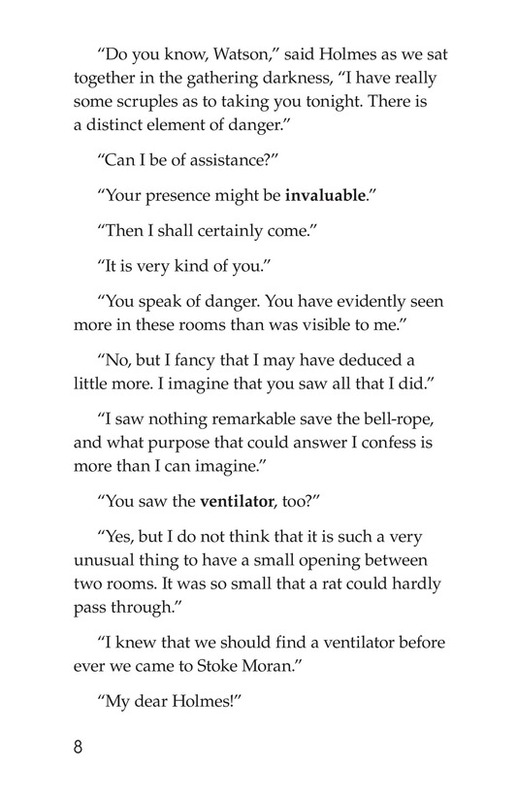 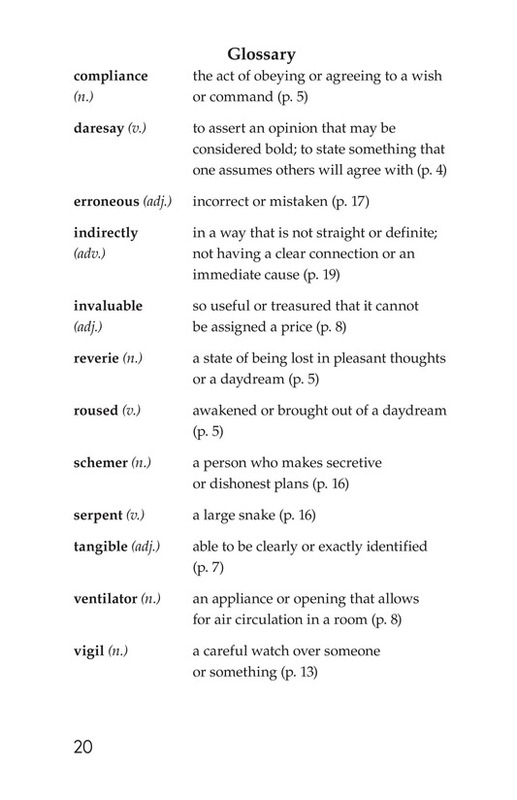 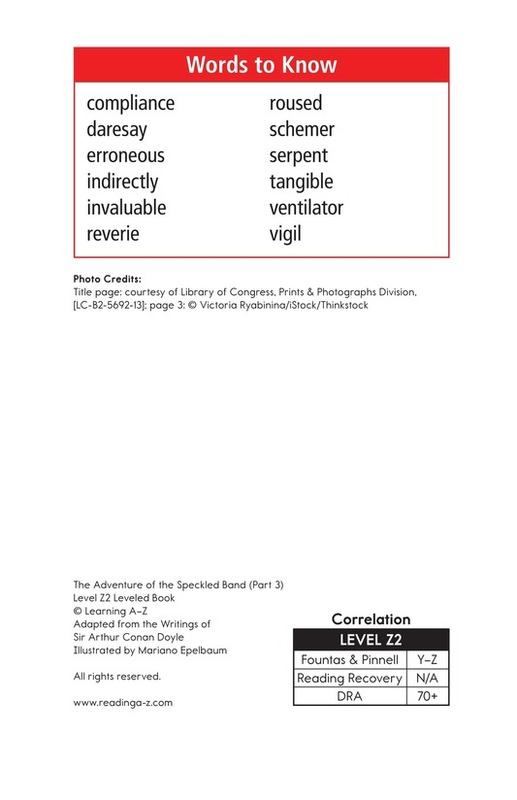 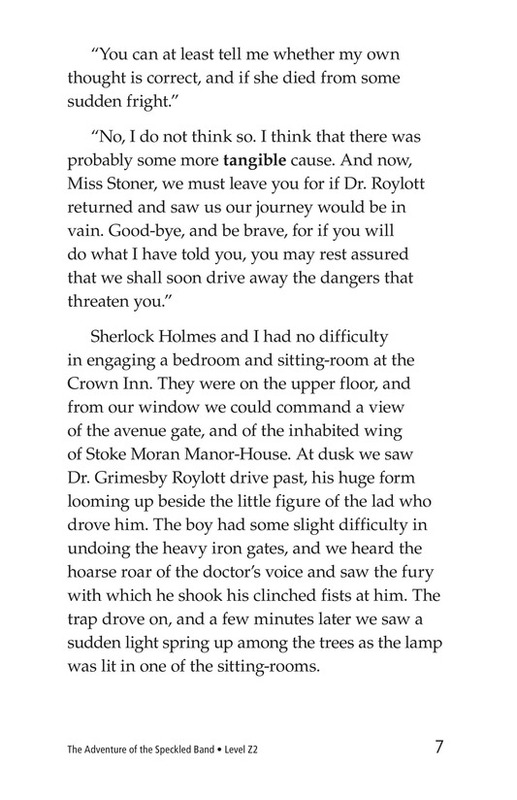 As Holmes and Watson wait in the darkness, they suddenly hear a metallic noise and see a light shining through the ventilator from Roylott's room. 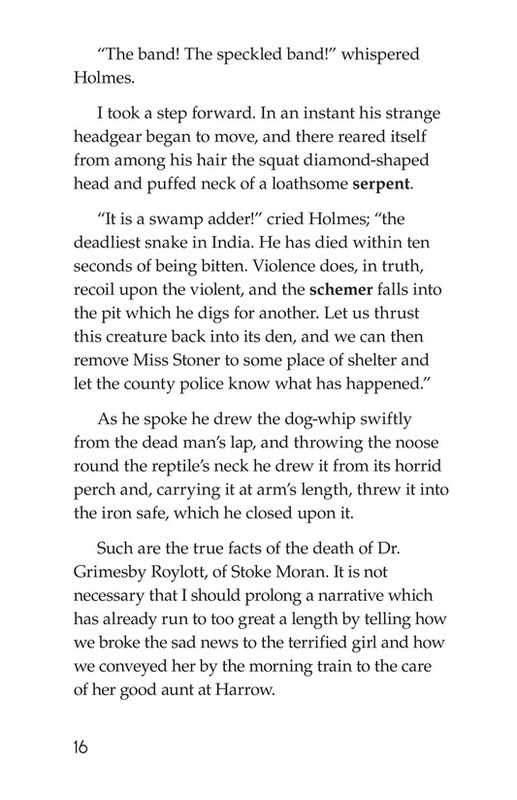 They discover a venomous snake, the speckled band, on the bell-rope. 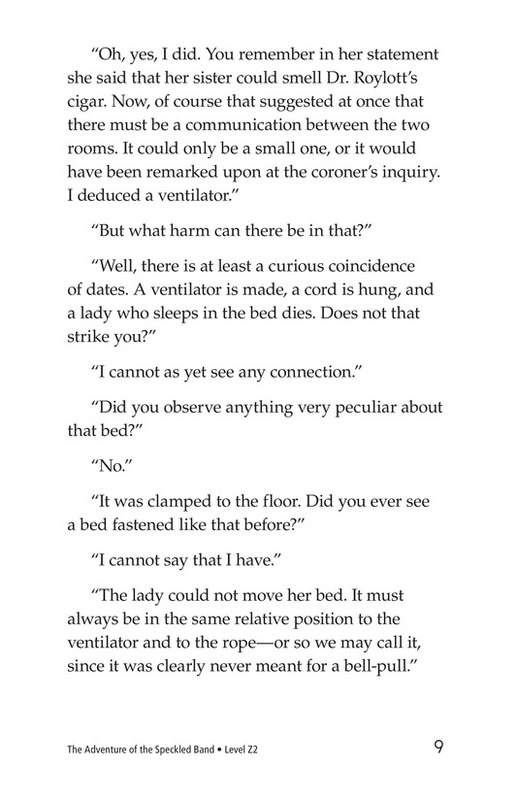 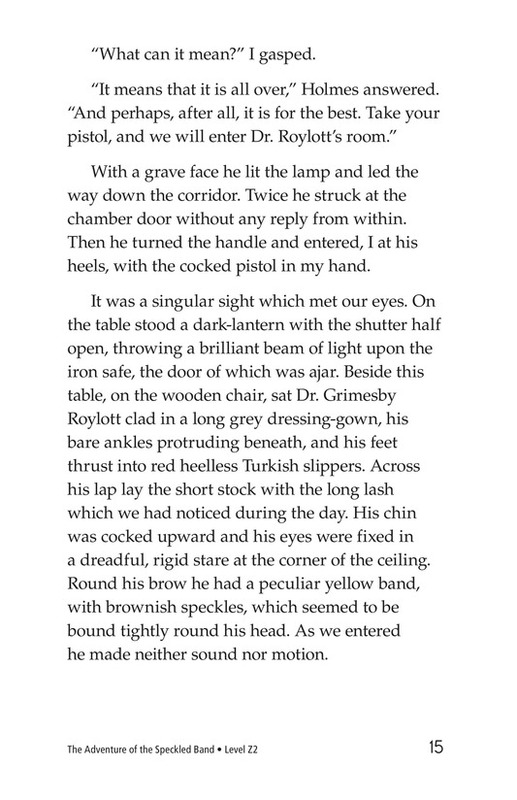 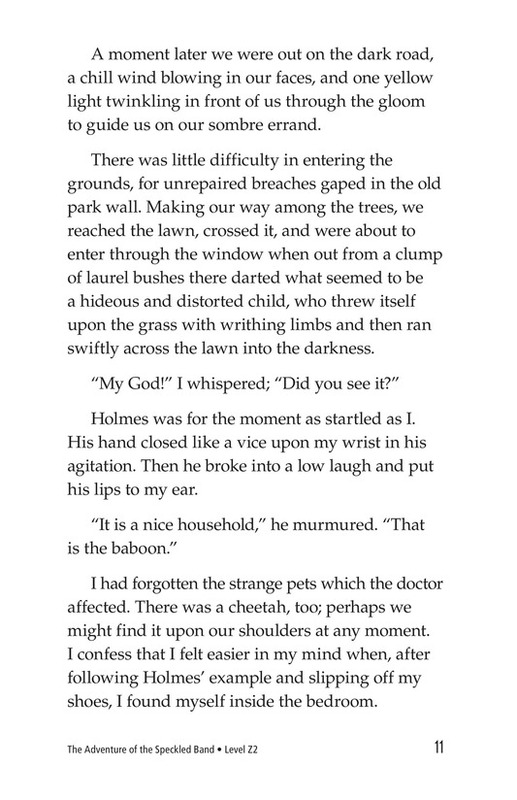 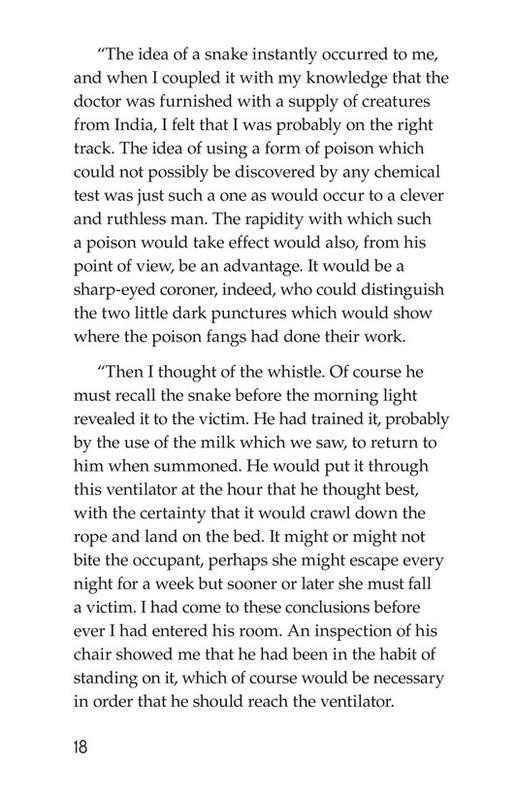 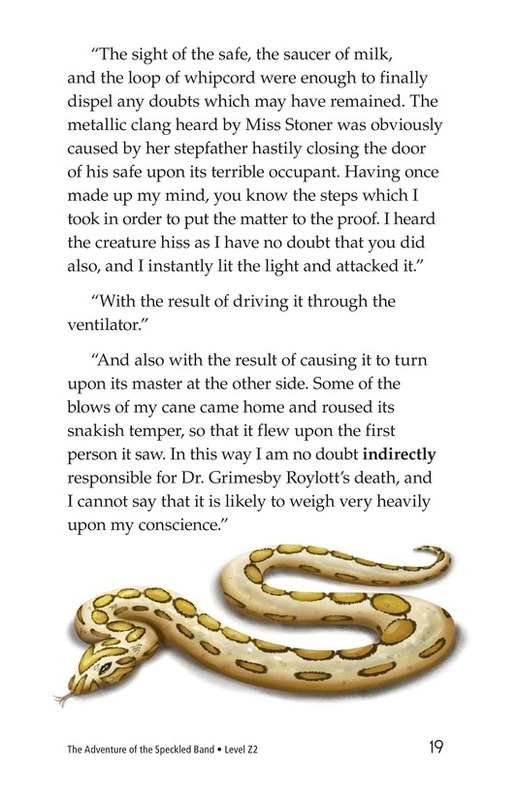 Holmes hits the snake with a stick and it returns through the ventilator to Roylott's room, biting and killing him. 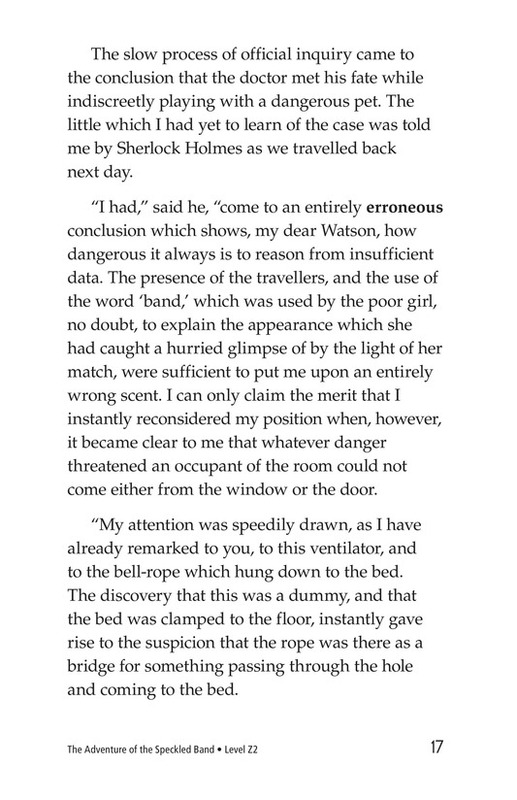 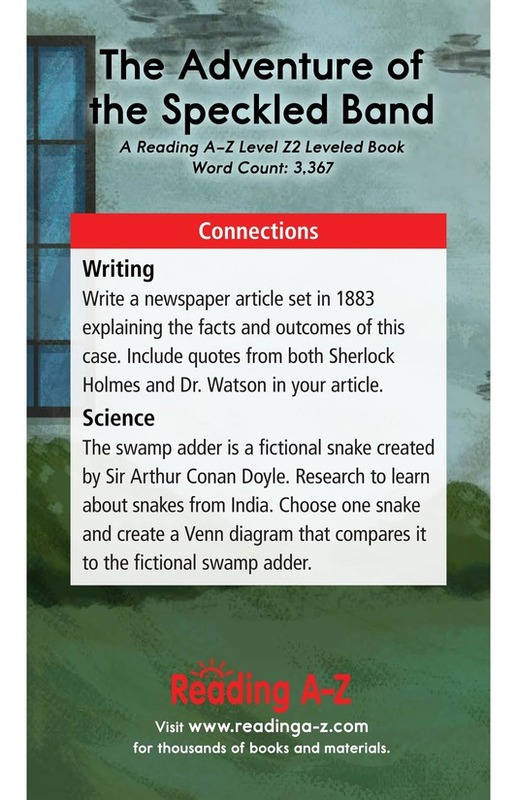 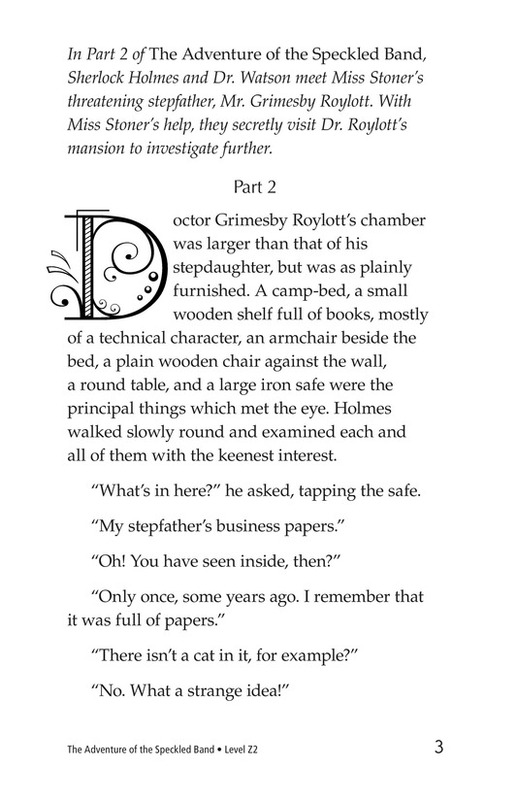 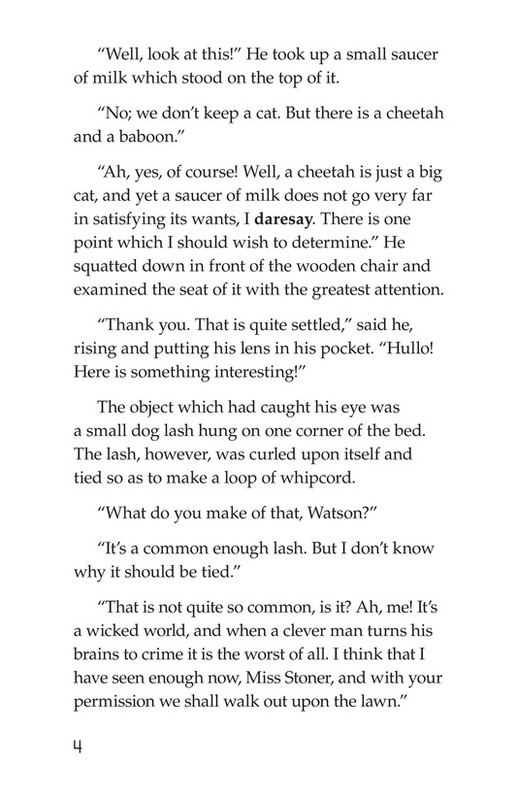 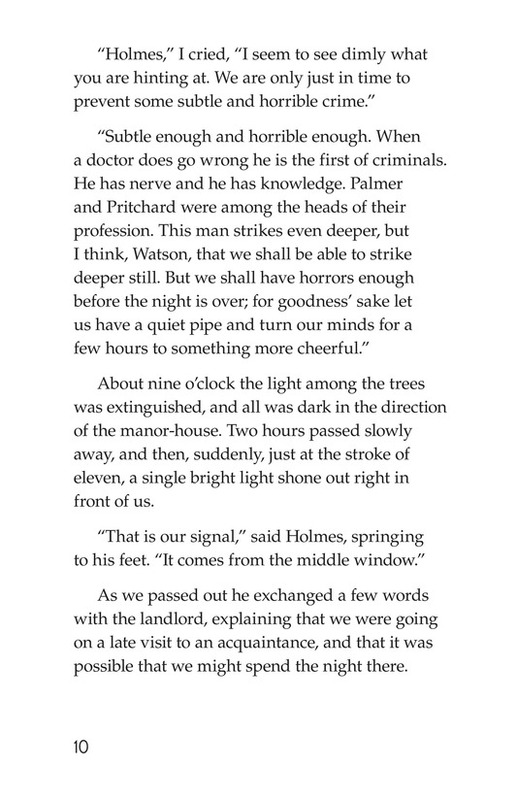 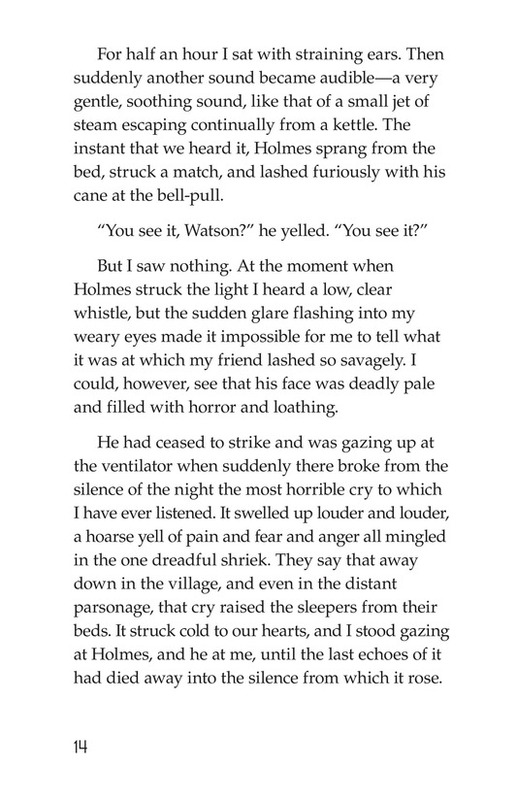 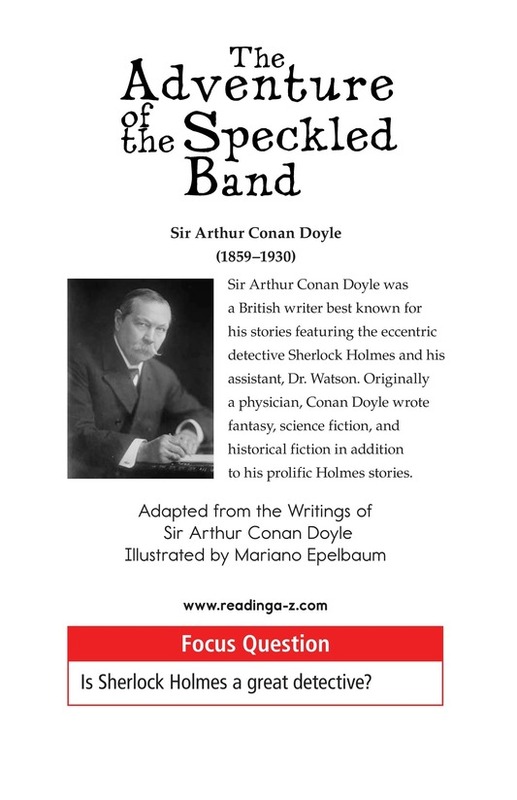 Holmes later reviews the details of the mystery with Watson and explains how he solved it.